Between the glamorous success of T20 cricket and the consistent efforts to keep Test cricket alive, the third format of the game, One Day International or ODI, has lost its luster in recent times. The format that encouraged a whole generation of young cricketers during the 1990s and 2000s is now considered the least exciting form of cricket by the fans at present. However, for fans of my age, who grew up watching players like Sachin Tendulkar and Wasim Akram become the legends of cricket, there is a special place for it in our hearts. The format is a perfect blend of Test Cricket's dedication and resilience with the aggression of T20 cricket, and it is not everyone's cup of tea to become a legend in this format. Among the players who have either recently retired or have played for a very long period, MS Dhoni and AB de Villiers are two players who made a name for themselves with their spectacular innings in this format. Even today, there are some players who excel in ODI and keep the excitement of the fans alive in it with their style of play. Here are the five best players of ODI in the world right now. The best ODI opener in the world. The young 23-year-old from Pakistan is probably the best batsmen from the nation in ODI since Inzamam ul Haq, and has played a big role in Pakistan's resurgence in International cricket. Ever since he arrived on the scene in 2015, Babar Azam has played 41 matches and has scored 1789 runs at a fantastic average of 51.11, complimented well enough with 7 hundreds and 7 other 50+ scores. Even though he does not play ODI matches for Australia on a regular basis, there is no denying the fact that Josh Hazelwood is the best bowler in the Australian ODI squad. A perfect successor to Glenn McGrath, the phenomenal line and length of Joshie has won him 69 stumps in his career in 41 matches at an economy of only 4.73. In 2017, he was Australia's highest wicket taker with 19 even though he only played 9 ODI matrches. There clearly isn't a better ODI opener in the whole cricketing world than Rohit Sharma. 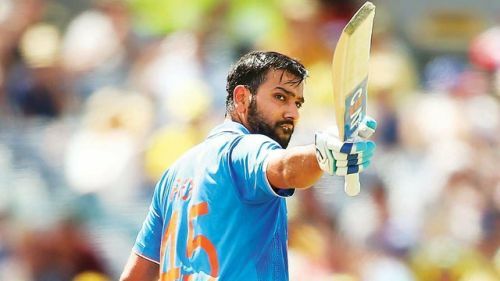 The only player in the history with 3 double hundred in ODI cricket, Rohit Sharma has been a game changer for India ever since he made a move up in the order back in 2013. 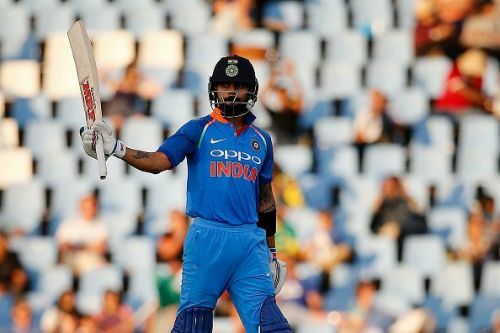 While he was a little inconsistent in the series against South Africa, the HitMan had a spectacular 2017 season, where he was the second highest run scorer with 1293 runs in 21 matches.